SpamTitan Gateway is a powerful Anti-Spam appliance that equips network administrators with extensive tools to control mail flow and protect against unwanted email and malware. SpamTitan Gateway is an award winning Anti-Spam appliance that is tried and tested. Its performance is externally validated each month and it consistently features as one of the best catch rates for Anti-Spam appliances from a host of market leaders. 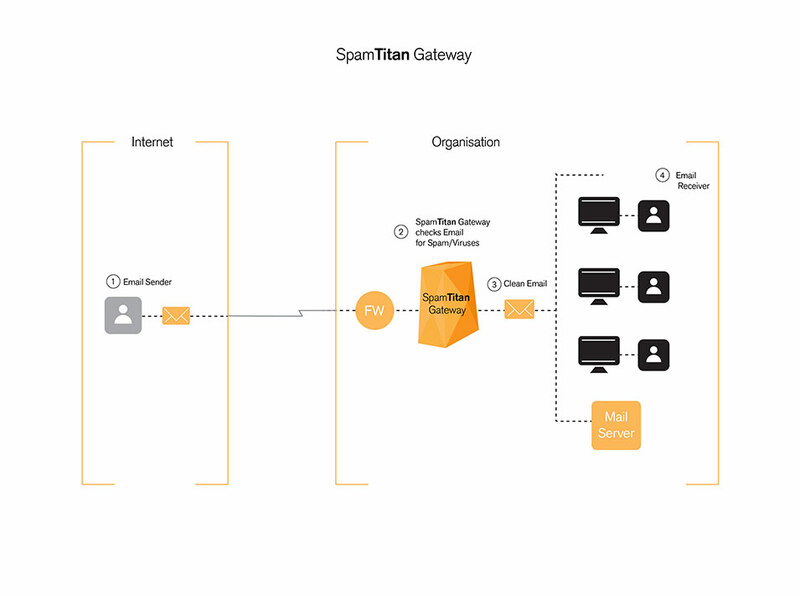 SpamTitan Gateway has a complete feature set that suits any size business as well as a whole range of features designed specifically for service providers who offer Antispam services to their customers. Make life easier for your IT department and everyone in your organization who has an email inbox. Simplify your email risk management with SpamTitan Gateway. Quick, easy installation, configuration and management. Web interface that allows controlled access form the network and removes the need for client based management software. Multilayered anti spam analysis. Including Sender Policy Framework (SPF), SURBL’s, RBL’s Bayesian analysis and more. Double antivirus protection, including Bitdefender and Clam AV engines. Join ISP’s and MSP’s worldwide. Use SpamTitan Gateway to provide email security to your customers, and make spam management easy – for yourself, and for your custoemrs employees. Implementing SpamTitan has meant that employees no longer have to sort through a bunch of spam emails every day and can work much more effectively and productively.